The best keto low carb carrot cake recipe ever! The steps for how to make sugar-free carrot cake are surprisingly easy. So moist and delicious, no one will guess it's gluten-free and sugar-free. Paleo and dairy-free options, too. A few weeks ago I posted a keto low carb cream cheese frosting recipe, and mentioned that I had plans to use it more. And, I love that I got recipe requests for ways to use it! Well, you guys are totally my people, because many of you asked for the exact recipe I was planning. Low carb keto sugar-free carrot cake with almond flour! Yay! 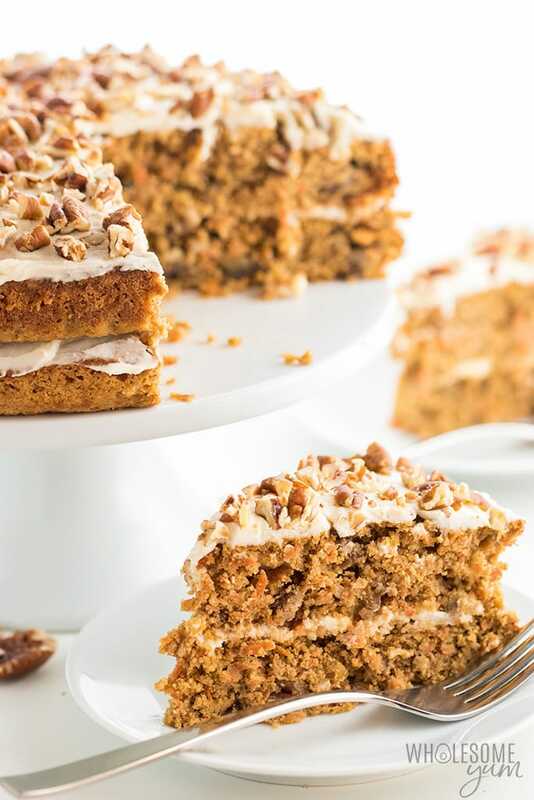 With spring just around the corner, it’s the perfect time to start thinking about how to make sugar-free carrot cake. It makes such a wonderful spring dessert! Granted, it doesn’t exactly feel like spring with the foot of snow (!!) we got last week. But I know the Midwest by now. We can easily go from arctic tundra to heat wave in a matter of days. 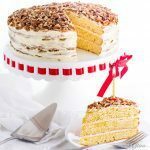 So, whether it’s still cold where you live or already starting to warm up, pin or bookmark this keto carrot cake recipe. It will come in handy soon. It’s good enough to share with the whole family, even if they aren’t low carb. Try it for Easter, Passover, Mother’s Day, or any birthday coming up! You probably know by now that I try to accommodate a variety of diets here at Wholesome Yum. The entire site is low carb and gluten-free, but I also have sections for special dietary requirements in the low carb recipes index. Choosing a low carb flour for this keto carrot cake was a little challenging. Even though I love almond flour, I know many people have nut allergies, so I attempted with coconut flour. But, almond flour carrot cake just turned out so much better, I had to go with that. If you can’t have almond flour, you might be able to get away with using ground sunflower seed meal instead. Of course you’d also have to skip the pecans if you have a nut allergy. If you don’t have an allergy-related reason not to, I highly recommend making this low carb carrot cake with almond flour. It turned out so moist and flavorful! I served it for guests and they kept asking if I was sure that it had no wheat flour or sugar in it. 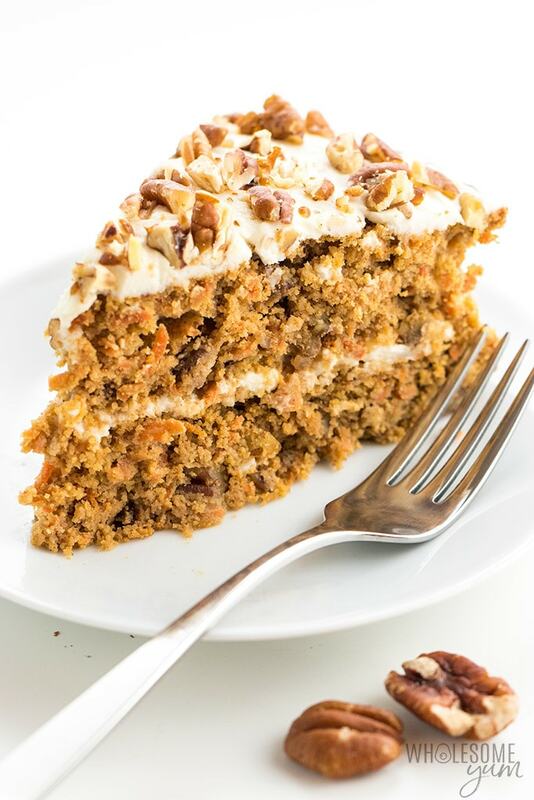 For those that are keto, you may be wondering how there could possibly be a keto carrot cake. Yes, it’s true that carrots contain more carbs than many other vegetables. Still, a sugar-free carrot cake can work for a keto diet if it works for your macro requirements. A slice has 5.5 grams net carbs, so it’s totally doable! I used a tiny bit of blackstrap molasses in this low carb carrot cake. It’s there for flavor, not sweetness, and does not add a significant amount of carbs per serving. But, if this is problematic, feel free to skip it. That is why it was listed as an optional ingredient. Since we are talking about special diets, I’d like to give some dairy-free and paleo options for this sugar-free carrot cake recipe. In my opinion they are not quite as good as the original version with dairy, but pretty close! I’ll share my modifications if you want to know how to make paleo gluten-free carrot cake with almond flour. If you are able to tolerate grass-fed butter, I recommend leaving that as is. It provides the best flavor, and creaming the butter with sweetener creates air pockets. You can still do this with coconut oil, but I like the result best with butter. But if butter is not an option, using ghee or coconut instead will work! There is just a slight difference in texture and flavor of the end result. Since erythritol is a natural sweetener, I feel comfortable using it in paleo recipes. That being said, I know some people would rather not. Feel free to replace it with coconut sugar instead. Here is a conversion chart. Finally, there is the cream cheese frosting for low carb carrot cake. The version I make is neither dairy-free nor paleo, but you can easily swap it with any frosting you like. I don’t have a paleo one yet, but have heard that some people make it with whipped coconut cream. You can also omit it, too! Okay, are you ready to see how to make sugar-free carrot cake with almond flour? Don’t be put off by the number of steps. They are all straightforward! You might be wondering about the number of ingredients. Isn’t it more than ten? Well, I have a couple of optional ingredients, which I don’t include since they are up to you. The frosting is also considered its own “ingredient”, which is what I always do when using one recipe in another. I know that’s a bit of a stretch, but I hope you won’t get caught up on the ingredient count. 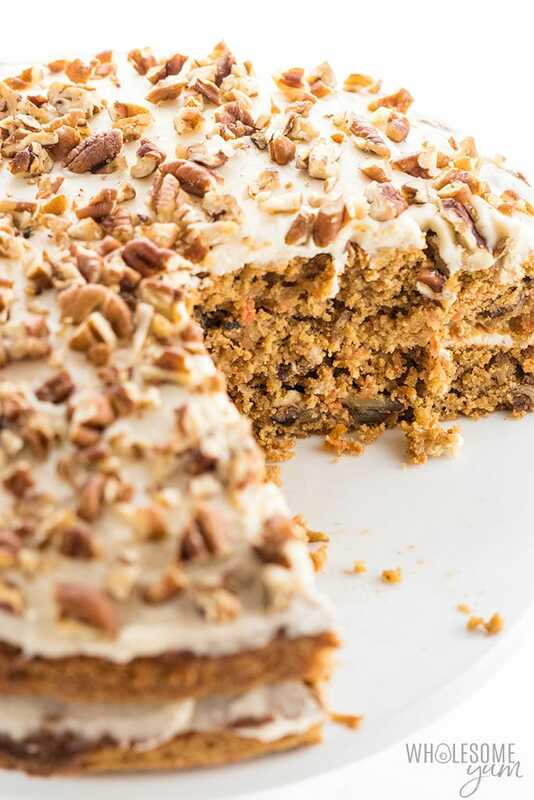 This keto carrot cake recipe was too good not to share! To start, preheat the oven to 350 degrees Fahrenhei. Line two cake pans with parchment paper, then grease the bottom and sides. I like to use springform pans for easy release, but whatever you have is fine. Cream together the butter and erythritol, then beat in the remaining wet ingredients. These include molasses, vanilla extract, pineapple extract, and finally eggs, one at a time. Pineapple extract is optional because it might be a little harder to find, but if you can get it, it’s so good! I included it because many traditional carrot cake recipes include crushed pineapple, and this was a great way to get the same flavor. Mix together the dry ingredients in another bowl – almond flour, baking powder, cinnamon, and sea salt. Make sure you use finely ground blanched almond flour, not almond meal, for the right texture. Stir the wet and dry ingredients together, then add the grated carrots and pecans. Make sure the carrots are just loosely packed when measuring, don’t cram them into the measuring cup or you’ll end up with too much. You don’t really need to drain them, but if they are very wet and oozing water, give them a squeeze first. You don’t want to get rid of all the moisture, though. The carrots help keep the batter moist. For this reason, pre-shredded carrots are not recommended. Grate them yourself right before using, so that they are somewhat wet. Transfer the batter to the prepared pans, and bake until the top springs back. You can also use a toothpick to test for doneness. Let the layers of low carb carrot cake cool completely before frosting. I usually cool them in the pan for ten minutes, then a wire rack afterward. What about the cream cheese frosting? You can make it anytime using this recipe. Don’t forget that you’ll need to double it to have enough for the cake! If you happen to have any leftover, try it on this chocolate mug cake – so good! It’s fine to store the frosting ahead in the fridge, or just make it while the keto carrot cake bakes or cools. It only takes a few minutes. Make sure it’s at room temperature before frosting your low carb carrot cake. Otherwise, it will be difficult to spread. You can always thin it out with a little cream if needed. When the cake layers are completely cool, you can frost one of them. Stack the other one on top, then frost again. Top with more crunchy pecans. Yum, yum! 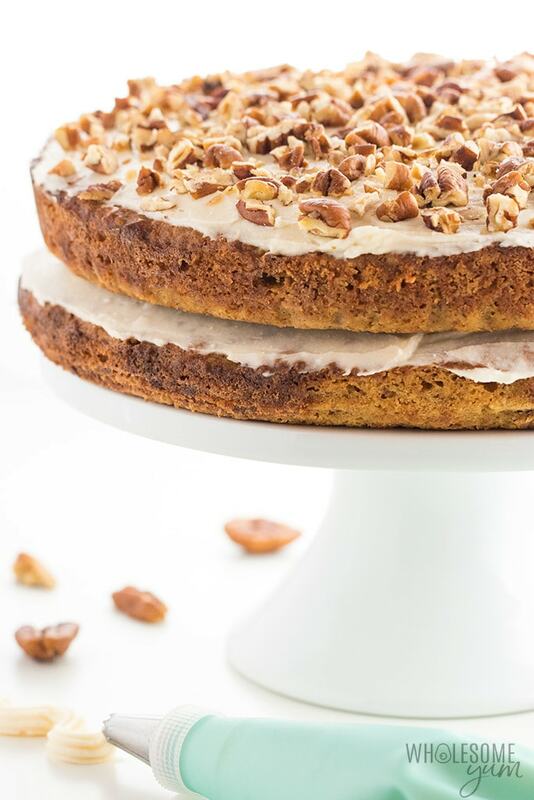 If you’re not ready to serve your sugar-free carrot cake right away – and if you can resist! – go ahead and refrigerate it. Gently cover it to avoid absorbing odors in the fridge. It’s best within a day or two, but may last up to a week. Preheat the oven to 350 degrees F (177 degrees C). Line two 9 in (23 cm) round cake pans with parchment paper. (Use springform pans if you have them.) Grease the bottom and sides. In a large bowl, cream together the butter and erythritol, until fluffy. Beat in the molasses (if using), vanilla extract, and pineapple extract (if using). Beat in the eggs, one at a time. Set aside. In another bowl, mix together the almond flour, baking powder, cinnamon, and sea salt. Stir the dry ingredients into the bowl with the wet ingredients. Stir in the grated carrots. Fold 1 cup (99 g) of the chopped pecans, reserving the remaining 1/2 cup (48.5 g). Transfer the batter evenly among the two prepared baking pans. Bake for 30-35 minutes, until the top is spring-y. Let the cakes cool in the pans for 10 minutes, then transfer to a wire rack to cool completely. When the cake has cooled to room temperature, place the bottom layer on a plate or cake stand. Frost, then add the top layer and frost again. Top with the remaining chopped pecans. Nutrition info includes the frosting, based on this sugar-free cream cheese frosting recipe. Click or tap on the image below to play the video. It's the easiest way to learn how to make Low Carb Sugar-Free Carrot Cake! I made this cake this afternoon and it is positively yummy! Can’t believe that it is low carb! My husband raved about it with every bite! 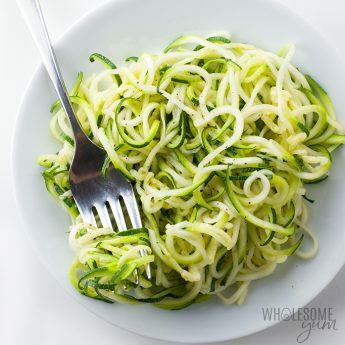 I hope you have more yummy recipes for low carb dieting! Thanks so much for this one! I will be making it again and again! OMG, this dessert was absolutely outrageous! My guest couldn’t believe that it was made with almond flour and swerve. Only adjustment made omitted pineapple extract and blackstrap molasses and added ½ teaspoon of xanthan gum and ½ teaspoon of baking soda. Texture was moist, not dense, did not taste like almond flour, did not crumble and was extremely flavorful. BTW, this is my first review ever, so thank you so much for all your contributions and excellent details. This recipe is a keeper! As a baker I’m experimenting more with keto creations as I have recently gone semi-keto (mostly low carb). I like the simplicity of ingredients and it was easy to make. I used Stevia in the Raw with a ratio of 1:1 , so 3/4c same as the Erythritol. I found that the texture and flavors were lovely, but it wasn’t very sweet, at all. I think I’m going to up the sugar for next time but overall great recipe. I baked this last week and it was the first cake I have baked in my life! Being a T1 diabetic cakes were off limits.. Thank you for this recipe it worked perfectly now I’m going to try other low carb baking! I’m a little confused on the pecans. When I measure 1Cup of crushed pecans, I then put it on my scale and I’m only getting about 130g as the measurement. This is no where near the 340g you have stated. Should I stick to my measuring cup or go all the way up to 340? Hi Chris, Sorry about that. The recipe calls for 148.5g pecans, which is correct, but the weights in the instructions were off. I updated them. Fingers crossed. Ordered all the ingredients. Will make this for my husband’s birthday April 6th as carrot cake is his favorite. Dear Maya: I made this as a birthday cake for my sweetie, who was diagnoses with Type II Diabetes a few months ago. Everyone at the table loved it, and my (30-something) son was sneaking bites of mine off my plate when I wasn’t looking. This one’s definitely a keeper! First, I made a 1/2 recipe as I always do, since 6 slices, with no leftovers, is just right for us. As for the recipe, I used powdered monk fruit instead of erythritol, which was fine. And I didn’t use molasses or pineapple extract, because I didn’t have either of those on hand, but will add them next time. The cream cheese frosting? Well… I forgot to get cream cheese. I tried to use creme fraich instead, but that was *not* a success. Wound up using some additional creme fraich as frosting, and will remember to get cream cheese before the next time. Thank you so much for a tasty dessert that is just as good as a traditional recipe. Question: Would adding raisins or pineapple be okay for a diabetic-friendly recipe, or would those up the sugar too much? TIA for your advice. Hi Marcia, I’m so glad you and your family liked the cake! Raisins or pineapple would not be low carb or keto, but in small amounts I’m sure some diabetics might be able to have them as part of a low carb cake. Pineapple would also make the cake more wet so would not recommend adding that, but from a recipe standpoint raisins are fine. Lisa – I had to laugh, as I just made this for *my* partner’s April 6th birthday. It was a hit here at our house. I hope it turned out okay for you as well. I am so thankful I found your website through Pinterest. Have made your donuts and blueberry muffins recipes multiple times. You’re so thorough in your decsciptions and research. My question today is about the carrot cake. It came out so delicious but crumbed when taking it out of the pan. Would using parchment paper help or do you have another suggestion? Or is it the timing after I take it out of the oven to cool? This is my first cake so, appreciate any suggestions you can provide. Thank you so much, Darlene! Yes, definitely use parchment paper to line the bottom of the pan, and grease the sides. You could also use a springform pan but that’s not required as long as you use parchment paper. It could be the timing as well – it has to cool completely before removing it from the pan. I’m glad it was still delicious! Maya, this is absolutely delicious!! Thank you. I thought I was going to have to be carrot cake free for life…you’re a life saver. It’s really the only (apart from lemon drizzle cake) I’ve actually had a hankering for since going keto a few years ago. Bless you! I made these into muffins. I’m terrible at baking but I wanted to try this anyway since my hubs is on low carb and loves carrot cake. He asked for no sugar and they came out pretty good without it!! It’s a great idea to grab and go too if you do muffins. Can you freeze this cake? There are only 2 of us. Thanks. My husband loved his birthday cake!!!!!! Hi Luther, Yes, you can freeze it. So nice of you to make this homemade birthday cake for him! How big are they and do they rise or are they kinda flat? I’m going to try and make cupcakes for a birthday with this. Hi! The recipe looked great and the cake tasted great, too. However, one of my pans crumbled when I tried to invert after cooling. Would you know why? Also I had to spoon the batter into the pan, wasn’t that liquidy to pour itself on to the pan. Pretty sure I followed the recipe to a t. Any insight would be helpful! Thanks! Thank you, Conni! I haven’t tried it with zucchini. It might work, but you’d have to sprinkle it with salt, let it drain over the sink, and then squeeze out the extra moisture before using it in the cake. Zucchini has higher water content than carrots. Hi Maya, I love your recipe! I made these into cupcakes and they were sooooooooooooo delicious and well received by everyone who tried them! How long did you bake it in the 13 x 9 pan; and did you need to double the frosting (as called for in the 2-layer version)? Hi there, looks like the best recipe I’ve seen so far. One question, can I replace the erythritol with xylitol? I just can’t handle the taste of erythritol. Hi Celeste, Yes, you can do that! You’d need a little less – check the low carb sweetener conversion calculator here. Outstanding carrot cake – as good as any I have had. Thank-you for taking the time to craft and share this recipe. Mine turned out moist, not crumbly. Almost seemed better the second day after it had time to rest and meld. I added some orange zest (1tsp) to the icing and it went over well. I used the “Golden” monkfruit sweetner by Lakanto in the cake, and their powdered monkfruit sweetner in the icing. Flour was the extra fine almond flour offered at Costco. We have been eating keto for nearly two years; this recipe definitely elevated my dessert game. Hi Tara, Sorry, I haven’t tried it without eggs. The substitutes I’ve seen people use are flax eggs or chia eggs, but can’t say how it would turn out for this recipe. Thanks so much for responding, I’ll give it a go and see how it turns out in the next few days. I only have one cake tin. Would this recipe work as one big cake rather than two layers if I increase the cooking time? Hi Jodie, You could do that, but you may need to cover the top part-way through to avoid burning the top before the center is done baking. You could also try making it in a 9×13 pan, cut that in half, and then stack the two halves to make a square cake. Of course baking time would still need adjustment with any pan different from the size the recipe is written for. This recipe is divine. I made this for my husband’s birthday and it tasted like a normal carrot cake. Everyone was happy and cannot believe it was a keto cake. No modification with the recipe but I may try to put xantham gum for the cake not to be crumbly. Again, thanks for the recipe. I made this carrot cake for Christmas. It is awesome. I doubled the recipe to make one big cake, substituted pecans with chopped walnuts, used ground almonds and omitted molases and pineapple exctract but added instead gingerbread spices. Purely because I used what I already had in my pantry. Usually, the pictures in recipes are far better then the final product when you do it at home. Not this time! I think mine was even more impressive! Keto or no keto this carrot cake it’s just perfect. Dense, moist, sweet, full of flavour. Thank you so much for sharing this recipe. I have looked at the “sugar” replacement charts. They don’t help me. I cannot buy erythritol where I am but stevia is everywhere and I HATE the aftertaste. I need a sweetener that doesn’t spike insulin – so no coconut sugar. Today I found monk fruit powder. How do I replace the erythritol in your recipe with monk fruit? Thank you for this site. Hi Karen, The amount of monk fruit depends on the brand; some are pure whereas others contain other ingredients. You don’t need to use the chart, just use the conversion calculator here. Awesome recipe, thanks for sharing. My girlfriend is okay with a little crushed pineapple, so how much pineapple should we add in place of subtracting some erythritol?? Hi Jared, I haven’t tried it so can’t say for sure. Most likely you’d need to make multiple adjustments to the recipe, because replacing some erythritol with pineapple would make the batter more runny, and the cake might not set. I am very impressed. Husband is keto and carrot cake is his favorite dessert. I’m sugar-free and low carb also so this recipe pleased us both. I omitted the molasses. Added a tsp of xantham gum. Also, I added a 1/4 cup of no sugar added applesauce for sweetness and moisture and 1/4 tsp of nutmeg. (something I always did to my regular carrot cake in the past). Interestingly, initially, I was not impressed. It didn’t quite taste sweet enough and was kind of so-so when we tried to dig in the first night. Husband loved it immediately though. But today, after letting it sit overnight, the flavor really comes through and it is very moist and flavorful. So sitting for a while really helped. I do like my carrot cake a little on the spicy side, so next time I will probably add a little more cinnamon. Overall a great recipe that I will share with my keto and paleo friends. Thanks so much! My husband is diabetic and I am always on the hunt for desserts for family gatherings. This one was Awesome! I often stay away from almond flour (he doesn’t like almonds) but thought the carrots might counter balance it. I did make a few modifications because of that too. I substituted a cup of almond flour for 1/4 c. Coconut flour, 2 additional eggs, 1/4 c. Butter, and 1/4 c. sweetner. (They are such different flours). …the modification was successful and helped lighten the almond taste I try to avoid. He often cringed when I try a new recipe because we have had some bad ones, but he loves this one. Moist, good flavor. Nice to provide a dessert that everyone can enjoy that he doesn’t feel left out. Looks amazing. If making as cupcakes, would you modify anything other than maybe the cooking time? Thank you, LeeAnn! You should be able to keep everything the same if making cupcakes, just reduce the baking time. I suppose the amount of frosting needed might be different, too. oooh nice one. I’m not a very good baker so it always feels miraculous when something turns out nicely- especially something I can actually eat on my weird diet! It was gorgeously moist and dense. The cakes were pretty thin by the time i split the batter (though that was fine for what I needed). Next time I might experiment with tin sizes. I layered it with very thin slices of orange and coconut yogurt <3 this cake LOVED the orange! I am so happy you liked the cake, Beth! Thanks for stopping by! I followed the recipe but didn’t have almond flour. I used coconut flour. It came out like cookie dough instead of batter! How could I thin it out? Hi Joanie, Sorry, coconut flour doesn’t work well in this recipe at all. As you found, it’s very drying and requires a totally different recipe, but even then you get a more dense result. You could try adding a bunch of eggs and milk, but that would throw off the sweetener balance. You really need a coconut flour recipe if you’d like to use that. Hope you’ll try this again with almond flour. Maya, I love this carrot cake recipe. The first time I made it, I cut the recipe in half because it is just me and I don’t need a big cake. I made the cream cheese frosting and it was delicious. Since then, I discovered I need to stay away from dairy. I decided to make this cake again only this time I invented a glaze to put on it. I use both the molasses and pineapple extract (which I could find anywhere and I ordered it online). For the glaze for half the cake: 1/4C coconut oil, 1/4C coconut butter, 1T powdered erythritol and 1/8 tsp pineapple extract. Melt the coconut oil and butter in a pan, add erythritol, take off heat, add pineapple extract and pour onto cake and spread around. Top with unsweetened shredded coconut. SO DELICIOUS! I am happy you liked the cake, Carole! Thanks for stopping by! Hello, My wife is on this keto kick and usually, I would make the southern fatty carrot cake but not this year. 🙂 I did omit the 1 tbsp blackstrap molasses and pineapple extract. The molasses creates a flavor I don’t care for in carrot cake and I used 1/4 a real pineapple that was cut into 1/4 inch sheets and slightly dehydrated in a convection oven @ 400 for 10 minutes. I let them cool and cubed to 1/4 inch, roughly 1 cup. I also cut the cinnamon down to 1 tsp, cut the carrots down to 2 cups and used multi-colored heirloom ones. The interior pecans were cut down to 1/2 cup to make room for the pineapple and 1 cup coconut rough fresh flakes. Thank you for sharing, Mike! I can’t say how it would turn out with all those modifications, but please let us know how it went. I want to make this cake – well half of this cake. It’s just me here so I think I will cut the cake in recipe in half. I live in the mountains of N. California and could not find pineapple extract anywhere. I found it on Amazon, it was spendy but I thought I could use it for other things and have ordered it. Can’t wait to try this cake – it will be for my 66th birthday cake next week! Happy birthday, Carole! I hope you like it! 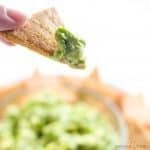 Where to get almond flour? Hi Kemi, You can get almond flour here. Many grocery stores also carry it in the baking area. OMG. I have been looking forward to making this for about a month. I made it yesterday and I’m about to cut all portions and hide them so I don’t eat the whole thing at a time!! I used more carrots than the recipe calls for (I put baby carrots in food processor and used about 3 cups of processed carrots) and also used whole walnuts. Removed all the optionals and used stevia instead (about a 1/4 cup of powdered stevia). I am so happy this turned out so good!! My new go-to keto dessert!! I am so happy you liked the cake, Sil! Please come back soon! I am going to bake this tomorrow. I bought Pyure all purpose. I checked your sweetener conversion chart but still aren’t sure how much of the Pyure to use. I was going to put 1/2 cup. Also can you bake in a 13 by 9 inch pan, the whole amount of batter? Hi Kristen, There’s a sweetener conversion calculator here that you can use. Yes, you should be able to use a 9 x 13 pan. What a great idea to sweeten your coffee, Renee! :) Thanks for stopping by! The cake part came out dry. My carrots were manually shredded (by me). Is there something else that could be added to help make the cake more moist? The icing was awesome though! Thank you. This is a good recipe otherwise. Hi Skitch, It might be overbaked if it’s dry, so try reducing the baking time. Other than that you can add more butter if you’d like but I didn’t find that necessary. Amazing!!!! I changed butter for coconut oil. And It was super good! I am so happy to hear that, Vicky! Thanks for stopping by! Hi just tasted,the carrot cake made into muffins. I only have 3 words wow wow wow. So yum moist flavorful. Don’t need any frosting perfect as is. Thank you! I am glad you liked it, Rita! Thanks for stopping by! Can these be made into muffins? And how long would you bake them? Hi Robyn, Yes, you can make muffins with this batter. I haven’t tried to say the time but other readers say they have. I’d start checking after 22 min and every few min after until a toothpick comes out clean. Hi, Can’t wait to try the cake but says cream sugar and butter or coconut oil. I never used coconut oil without making it liquid in a pan melting it. Will it work to take it as is in jar and I mix with sugar? Or should I melt it first? Thanks, can’t wait to hear and make carrot cake. Hi Rita, Don’t melt it first. Use a hand mixer to beat the butter or coconut oil (in soft solid form) with the sweetener. I made this yesterday it was so good! Of course I will make it again. I am so happy you liked it, Bayan! Thanks for stopping by! This is just perfect. Made today and sat eating it with my husband. Wish I could post you a picture. I put half pecans and half walnuts. Very moist and incredibly tasty. Thank you for your lovely recipe. I am so happy you liked the cake, Helen! Thanks for stopping by! Hi, I’ve always had carrot cake for my bday, and I’m making myself this one this year. my only question is all the carrot cakes I’ve every had have shredded coconut in them. Do you think I could sub out part of the carrot for unsweetened coconut flakes? Hi Sarah, The carrot provides moisture and coconut absorbs moisture, so if you make that swap you’d need to add liquid. I can’t say how much without trying it. I think it’s probably safer to keep the carrot the same and add shredded coconut in addition. Then if you add just a bit you might be able to keep everything else the same, or if it’s more, like 1/2 cup, you probably need to add more moisture still. Let me know how it goes if you try modifying! I subbed out part of the carrot for the coconut and it turned out amazing. I think it was more like a muffin than cupcake but I was not at all disappointed. The whole family loved them! Thank you for sharing! I’m glad that worked! I also left out the nuts since none of my family much cares for them, so I think that helped. Thank you, Stacey! Happy birthday to your husband! We really enjoyed the carrot cake. I didn’t have the pineapple extract, so I replaced it with orange extract, and it was terrific. I used the cream cheese frosting as well… but I didn’t put as much sweetener in it and added more vanilla. Thank you so much, Jen! Great idea with the orange extract, too. Thanks for posting this carrot cake recipe. I’m a baker but new to Keto baking. My cake came out just a little on the dry side and didn’t seem to rise at all. Do you think it would have worked out better adding another tsp of baking powder, some xanthan gum and a little liquid? I’d really appreciate your thoughts and advice. Hi Randall, Thank you for the feedback. Did you by chance use pre-shredded carrots? Those are more dry. Otherwise it could just be variation in how “wet” your carrots were in general. Aside from that, keto flours don’t rise as much as regular wheat flour, so that’s pretty expected. You can try a bit more baking powder, but too much has the opposite effect and causes falling. 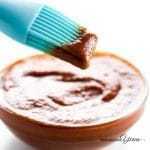 Xanthan gum can definitely be used to improve the texture – try 1/2 tsp. Thank you so much for your advice. I did shred my carrots myself but they may not have lent enough moisture. I am going try adding the xanthan gum but leave the baking powder as is (there’s no use in risking over doing it for just a little more height). I am determined to figure out the art of Keto baking. Thank you so much, Vicki! I’m so glad you liked it. I would love make this for my hubby’s birthday, but would prefer to use raw agave syrup for the sweetener instead of the sugar alcohols. Would this make the batter too runny? Hi Sonya, I haven’t tried that but it probably would be too runny. If you prefer to use a natural sugar sweetener over erythritol, you can try coconut sugar instead. I made this today for my husband’s birthday. It was seriously good. I’ve always made my carrot cakes from scratch but never low carb before. I used Swerve and if I hadn’t been the one to make it, I would have never guessed it was low carb, sugar-free and not regular flour. My 11-year old daughter loved it. Thanks so much! This will be my go-to cake recipe for future gatherings. I am so happy to hear the whole family enjoyed the cake, Cyndi! Happy birthday to your husband! This sounds amazing! Going to try making it now but is it ok to use Truvia instead of erythrytol? Truvia is basically 95% erythritol and grainy like sugar… just wasn’t sure if it would be too sweet. Anyone tried this? Thank you, Sarah! Yes, you can use Truvia, you’d just need a little less. Check my conversion chart here. thank you! i used truvia, left out the pineapple and molasses, and subbed walnuts for the pecans and it was a HIT! my mom loved them even without the frosting lol they were moist, delicious, and healthy 🙂 i used leftover carrot pulp from my juicer and you couldnt even see any carrot pieces. this is def a recipe i’ll use again and again. thank you, maya! I am so happy to hear that, Sarah! I am so happy you liked it, Caroline! I made this cale last night @8:00pm after googling keto carrot cake and had a serious craving for it and as it tirns out it was a smash! Hubby loves it and i cant believe how good and sweet it is. I didnt have heavy cream for the frostso i used almond milk instead and it was delicious also didnt have the pineapple or molasses so i can imagine how good these would make it. Anyway thanks for the wonderful recipe! I am so happy you liked it, Marla! Can I replace carrot with zucchini? Hi Nanette, I haven’t tried but you probably can. Squeeze it to drain well first because it has more moisture than carrots. I am so happy you enjoyed the cake, Christine! Have a great day! Can I replace the blackstrap molasses with Sukrin Gold?? Thanks I really want to try this cake! Hi Jacky, You can, though the result will be a little different. Blackstrap molasses is very concentrated in flavor, whereas Sukrin Gold is mostly a sweetener with a more mild flavor. I think it would be good either way! This is AMAZING!! If there was an option to give it 100 stars I would! I was expecting the usual dry, bland sugar-free cake but this is so good! It’s very, very tasty and moist- plus the frosting is out of this world! Can I use a 13×9 pan for this recipe? Hi Mari, Yes, you can! I think you can just put all the batter in a single layer instead of two 9-inch pans. The baking time may be a little longer. When done, just cut it in half and you can stack the two pieces just like you would round cakes. I am wondering if I can do this in a 9×13 or cupcakes? Would there be any adjustment? Hi Cheryl, Yes, definitely! The only adjustments would be baking time. The muffins would definitely take less time, and the 9×13 pan would probably take more time. You can use a toothpick to check for doneness. I just finished mixing the batter for this yummy sounding cake for our “family night” tonight. I followed the recipe (except substituting walnuts for the pecans) the batter was very thick, more like cookie dough than a typical cake. It that the way yours was too? My family will be thrilled with it no matter what…just checking in. Hi Anni, The batter is fairly thick, but not quite as thick as cookie dough. Did you shred the carrots yourself? They provide some of the moisture in the batter, so if using pre-shredded carrots, it may be too dry. I hope the cake still turned out delicious for you! 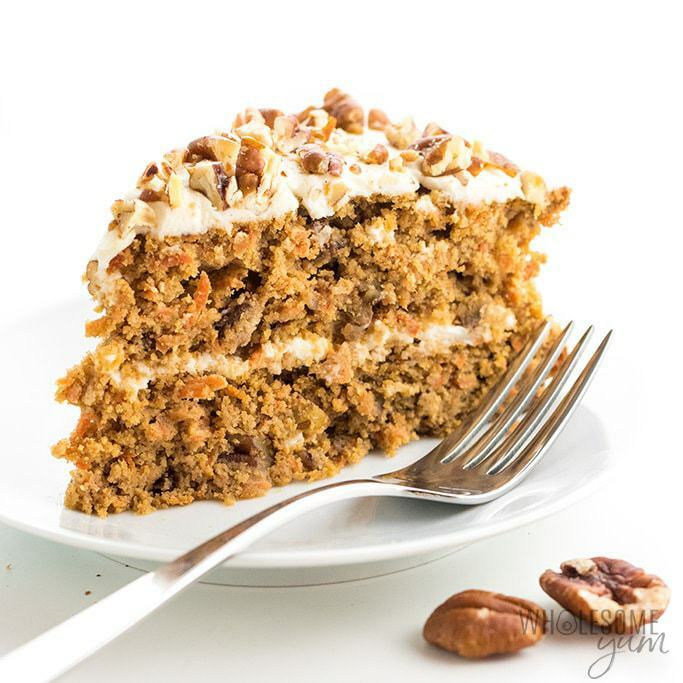 This recipe looks awesome and I just love carrot cake. Can you just the Splenda baking blend sugar in place of the powdered erythritol? Thank you for sharing this recipe. Hi Debi, I haven’t tried it but it would probably work. It would not be low carb, sugar-free, or natural, though, because Splenda Baking Blend is 1/2 sugar and sucralose is artificial. Sounds delicious! Can I leave out the walnuts? I’m not a big fan of them in baking! Or do you need them for flavour? Hi Anetta! Yes, you can leave out the walnuts. I think it tastes great with or without them. Have a great day! Cannot wait to try this…the picture made my mouth water and sounds really easy. I’m wondering if it can be baked in a bundt pan. Thank you. Thank you, Diana! Yes, you can make it in a bundt pan. It may affect the baking time, though, and I couldn’t tell you exactly since I haven’t tested it. I hope you get the chance to try and let us know how it goes! Hi Jane, The ingredients are right on the recipe card. If you see the instructions (method), just scroll up and the ingredients are above that. It sounds and looks good. The carb count for me is to high at 8.5. I follow the total 20 carbs a day. Not much room unless I ate 1/2 of the recommended piece portion. Thank you, Maria! Are you eating 20g net carbs or total carbs per day? 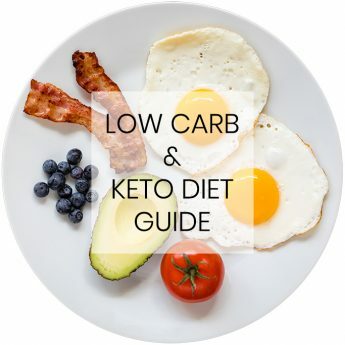 Many people following keto do net carbs, not counting fiber in the carb count. A piece has 5.5g net carbs. I hope you get the chance to try it! Dear Maya: 5.5gnet carbs sounds better. Yes it’s net carbs. I loved carrot cake before I started the Keto LCHF Woe. Now I don’t have to miss it. Thanks! I am so happy you like it, Maria! Have a great day!